One of the biggest problems when it comes to buying toys for kids is that they get bored quite easily. 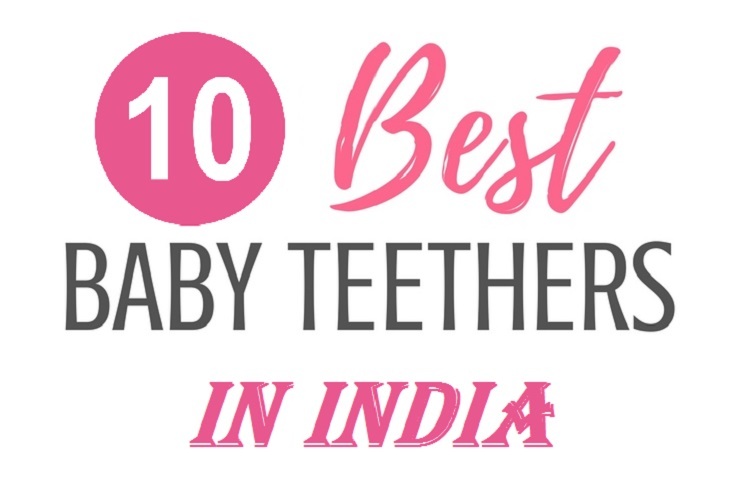 Luckily for parents, there is a category of toys that don’t wear down kids with the boring quotient. A bike or a ride-on could be the perfect gift for your gift. Once they get a hang of it, they would want to ride it more regularly. It gives you an opportunity to take them outside as much as possible; a much-needed relief from Youtube that kids are almost always glued on to. The following are some of the points that you should keep in mind while selecting bikes or ride-on for your kids. Most of the ride-on or bikes are age specific, so make it a point to get the most befitting bike. You should get bicycles or scooters for your kid if he/she is at least 5 years old. Any battery based ride-on should be given to kids above 3 years. 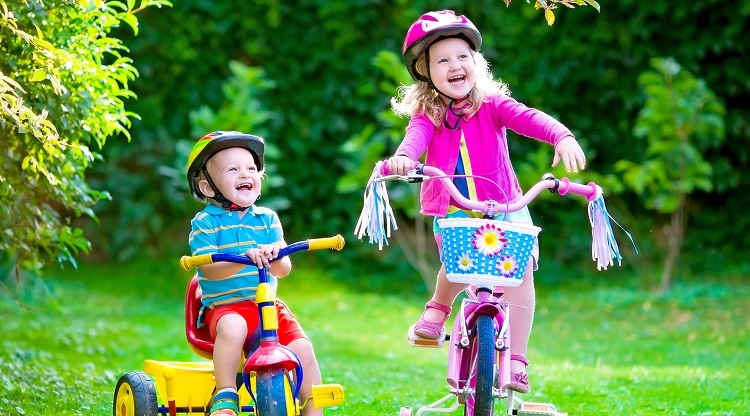 Kids belonging to the age group of 2-3 years should be provided with pedal based bikes. And feet powered bikes are ideal for kids of 1-2 years. If you want to get a battery-operated ride-on, ensure it has a seatbelt and the battery box is out of your kids to reach. It is preferable to get this kind of bikes from a local store as they would take care of the assembly and set it up. If you get it from websites, it can be a bit tricky to set it up. But if you like DIY kits, it can be a good option. 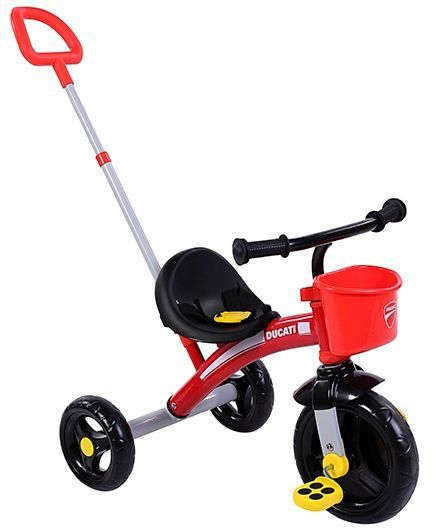 Chicco’s Ducati trike is ideal for kids of the age group 1 to 3 years. The trike has a seat belt along with a locking system for its pedals. 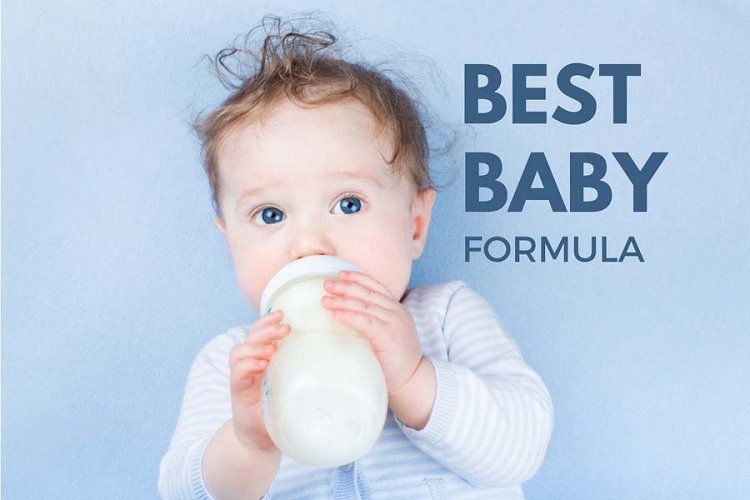 This strongly built trike also has a small basket up front so that you can keep essentials like sipper etc. without having to carry the same. Even though the trike has a push bar for parents, you cannot use the same for steering the unit. And it can be a bit of pain to assemble the unit, thus it is best left to the professionals. 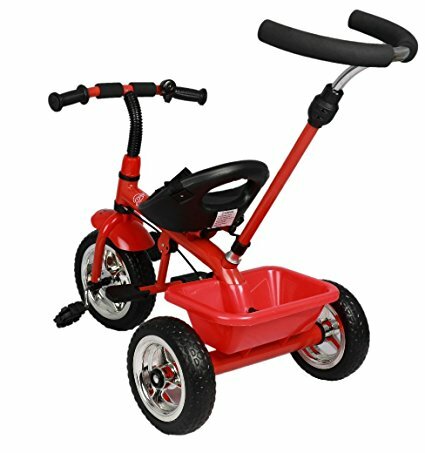 This tricycle from Baybee is a well built and sturdy unit. 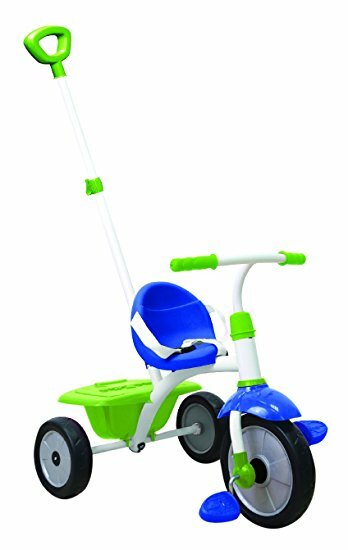 The tricycle comes in 8 different colors and a host of safety features. For starters, it has an armrest bar so that your little one doesn’t fall off the tricycle accidentally. The tricycle also has a push bar for parents so that you can take control of the tricycle’s direction and speed. It also has a basket which you can use for keeping bottles, food packets or small toys when you take him/her out for a ride. 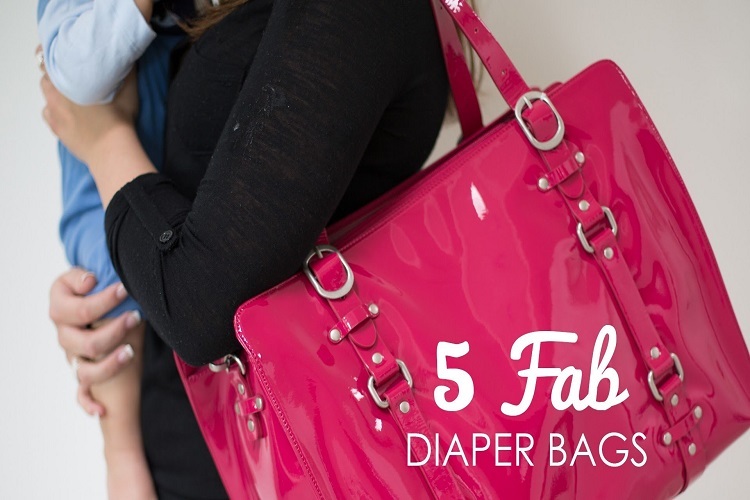 It also has a covering on the top to keep your kids safe from harsh sunlight. Smart trike comes across as a striking product. 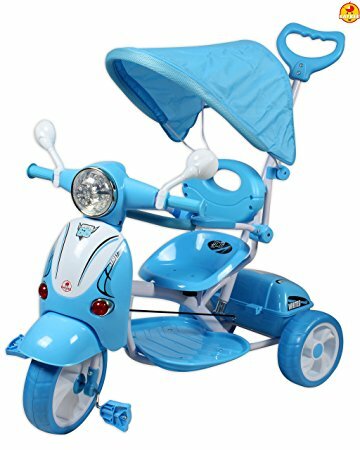 The light and bright colors used on the trike give it lots of positive vibes. It comes with seat belts and push bar for parents. For kids in the age group of 1 to 3 years, Smart trike is a great option. There is a covered basket at the rear end of the trike, which is a great addition to be frank. Not only does it allow you to carry stuff, but also keeps it covered from dust and insects that might otherwise settle on the items. Unlike most other tikes that require some skills to set up or assemble the bikes, R for Rabbit’s Tiny Toes is an exception. You will be able to handle the assembly even with minimal experience in doing so. R for Rabbit has a reputation of building durable and robust bikes and tiny toes is no different. It comes with a very comfortable and large enough seat along with seat belts. It has a relatively large open basket at the rear, where you can carry toys and eatables. The only drawback being there is no push bar. However, there is a grand version of the bike that comes with a push bar, but it does not have the capabilities of steering the bike.